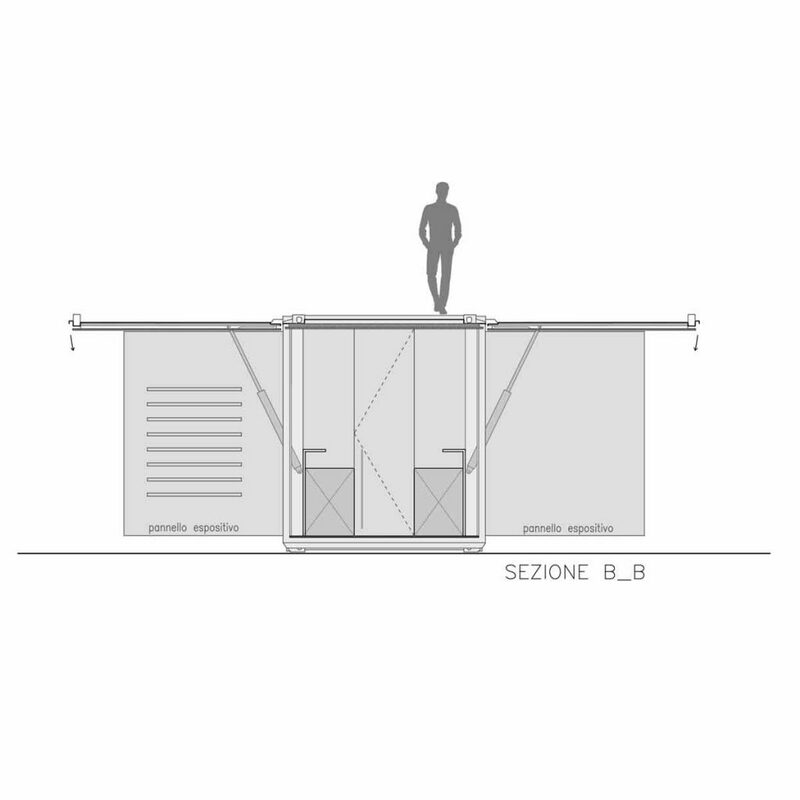 A project that arises from the will of the client to repropose and innovate in an unusual way, from the purpose of “experimenting” with new forms of activity, and that is transformed into a new architectural expression. 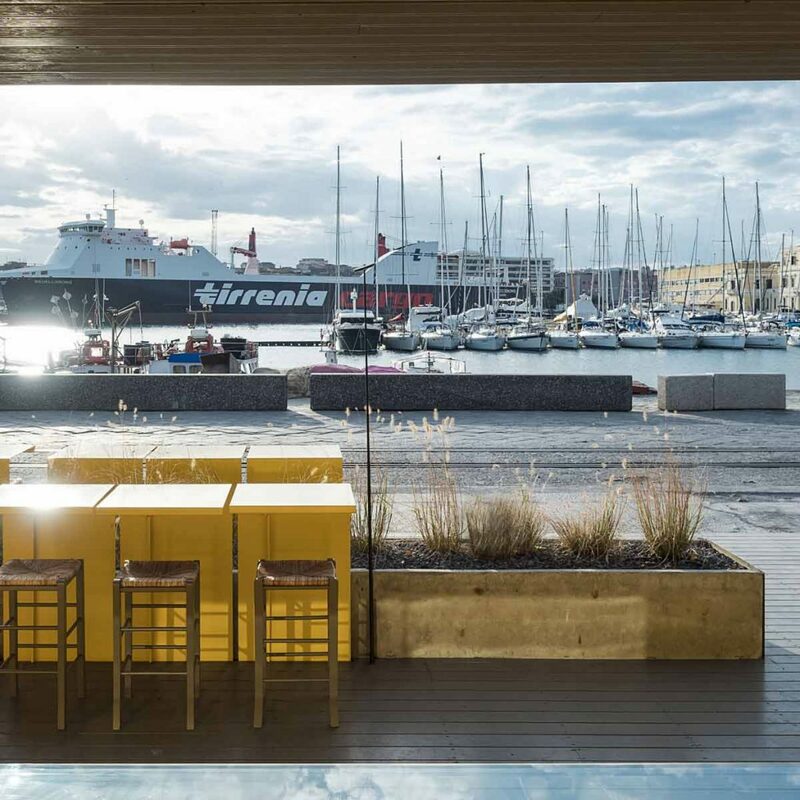 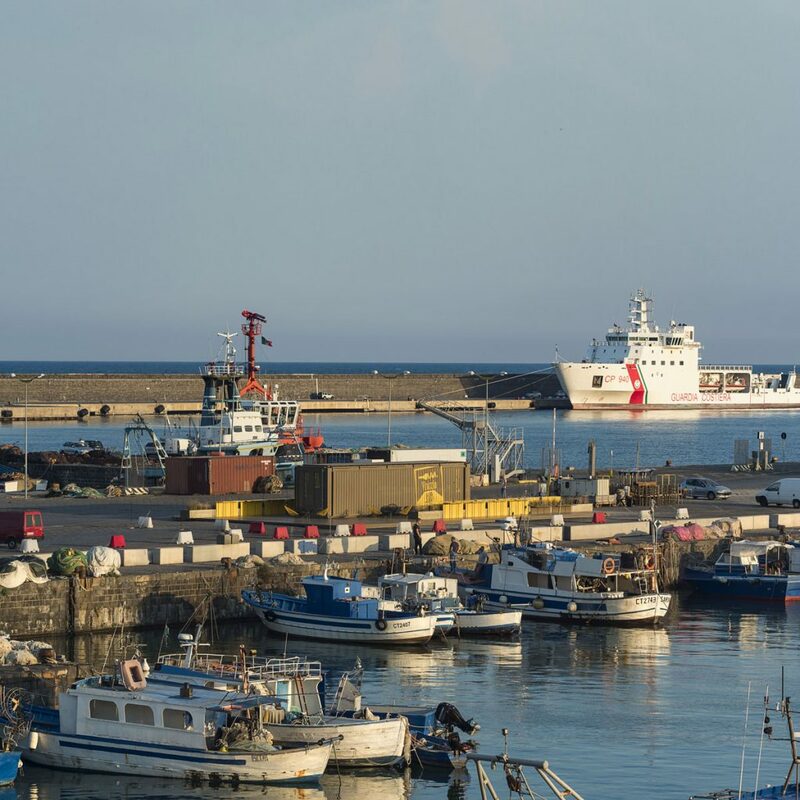 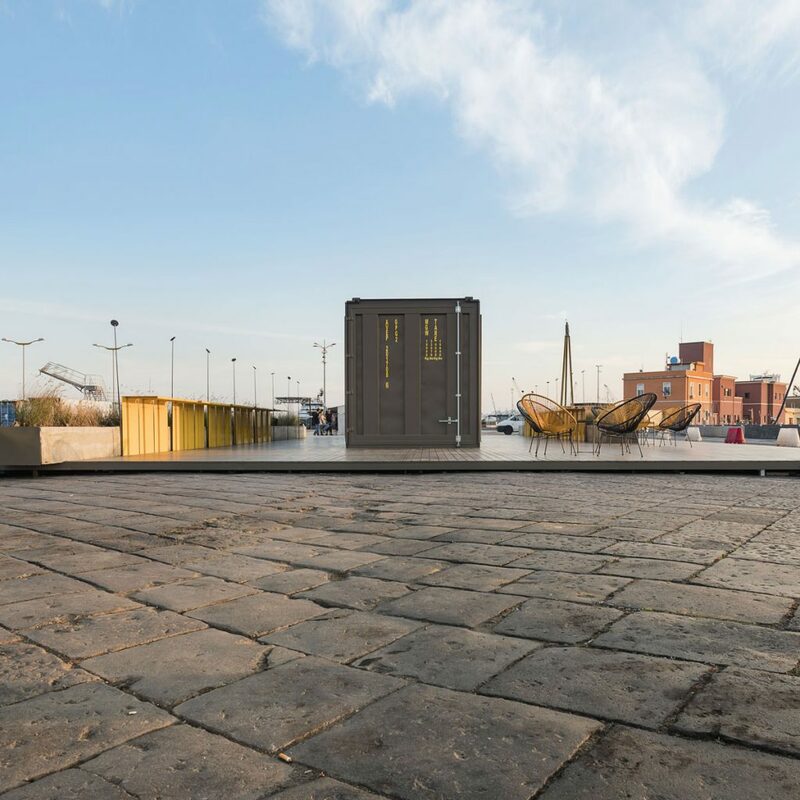 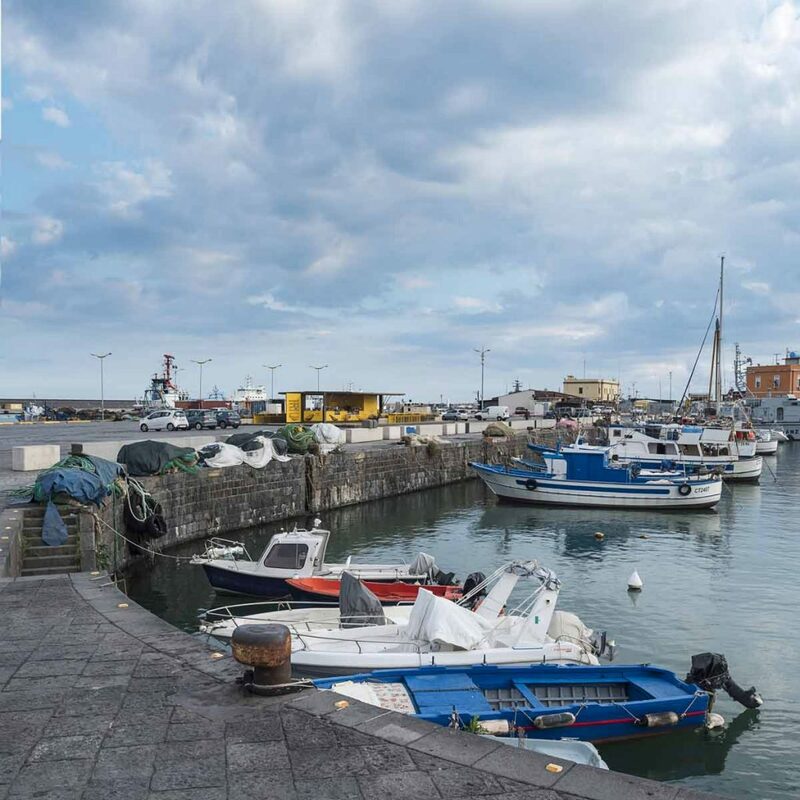 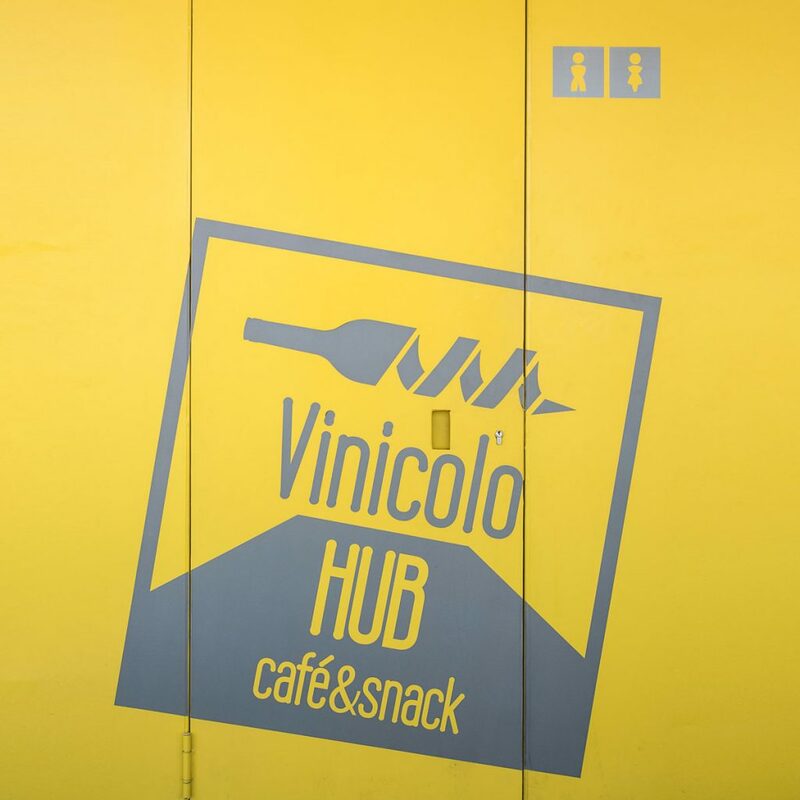 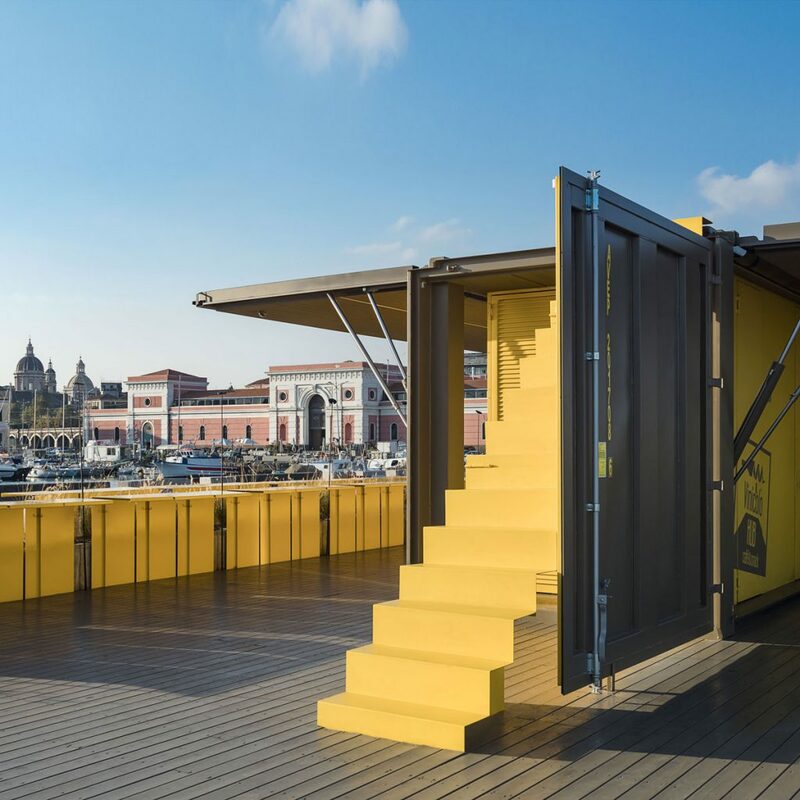 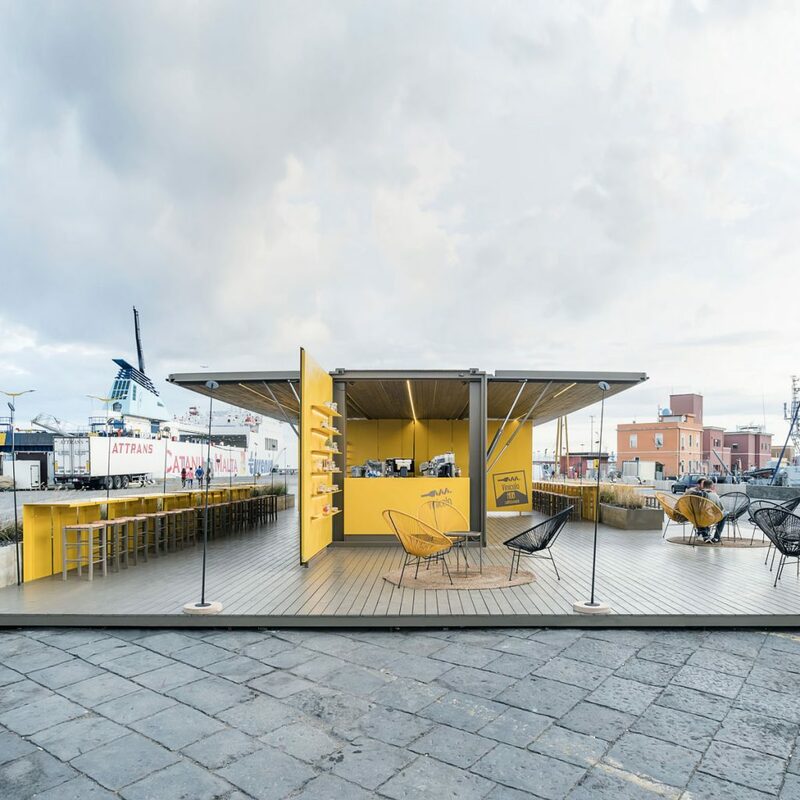 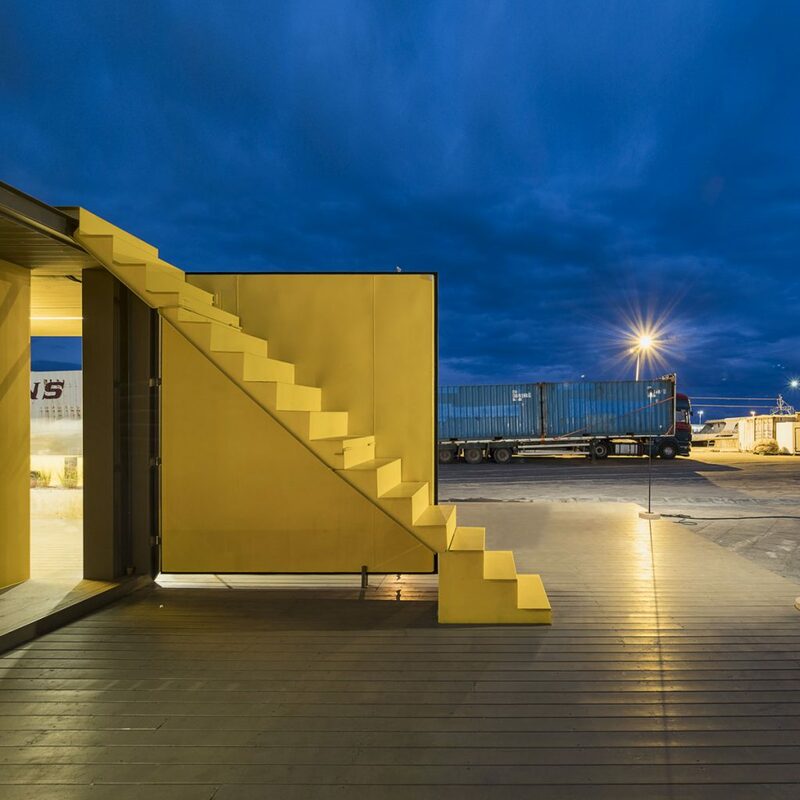 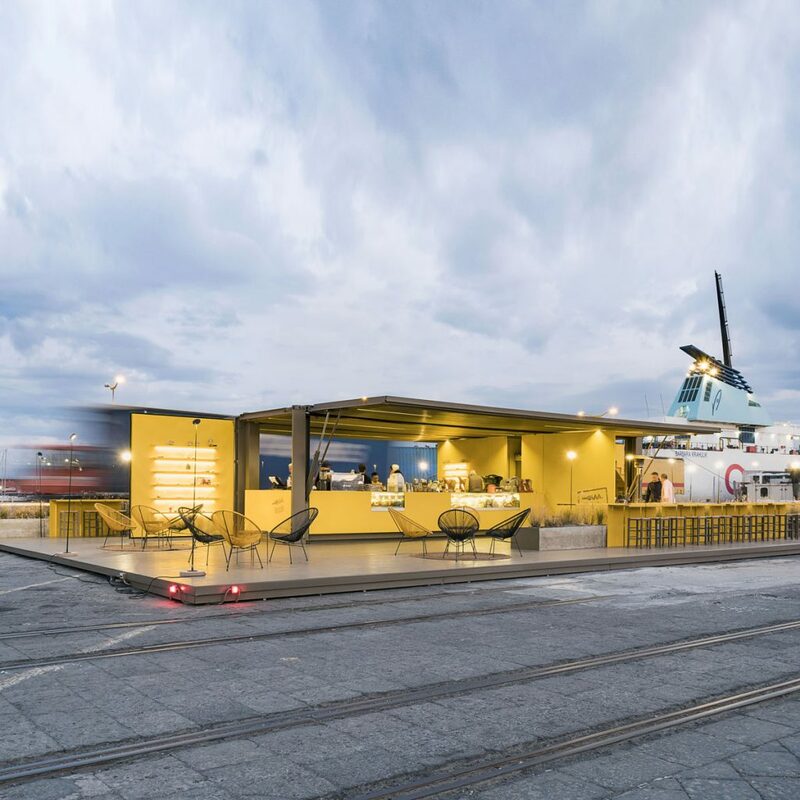 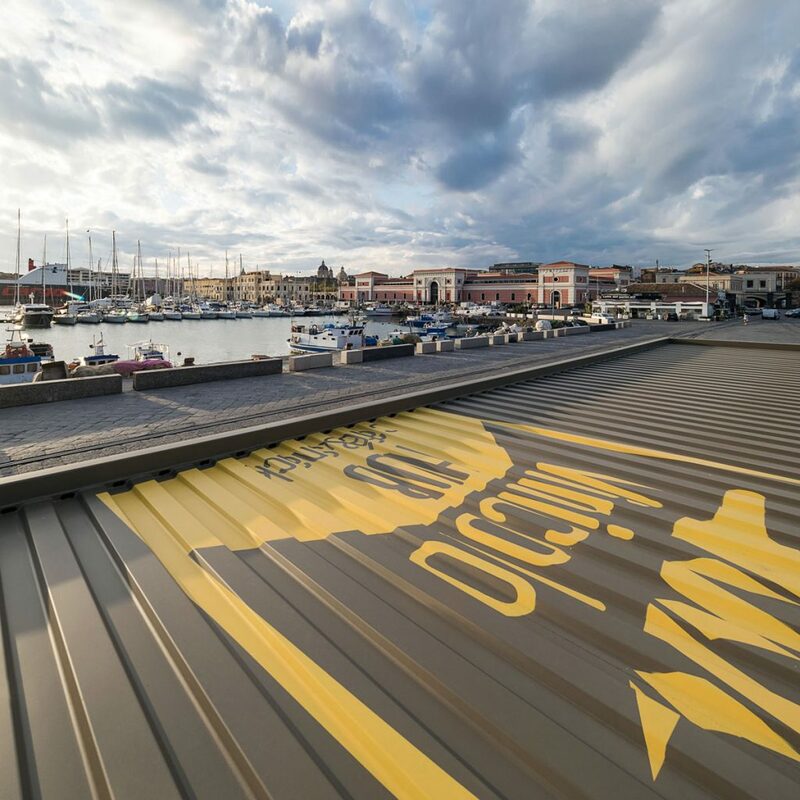 The idea comes to life from the forms and construction types of the port of Catania, taking up an element belonging to the visual imagery of the place, reinterpreting it and transforming it into a café, a small recreational space. 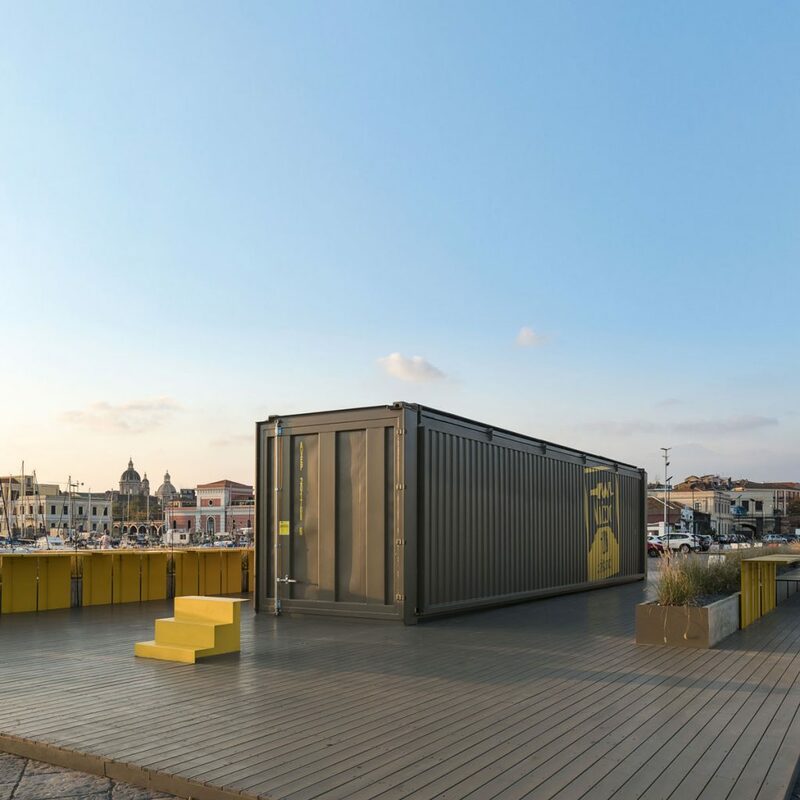 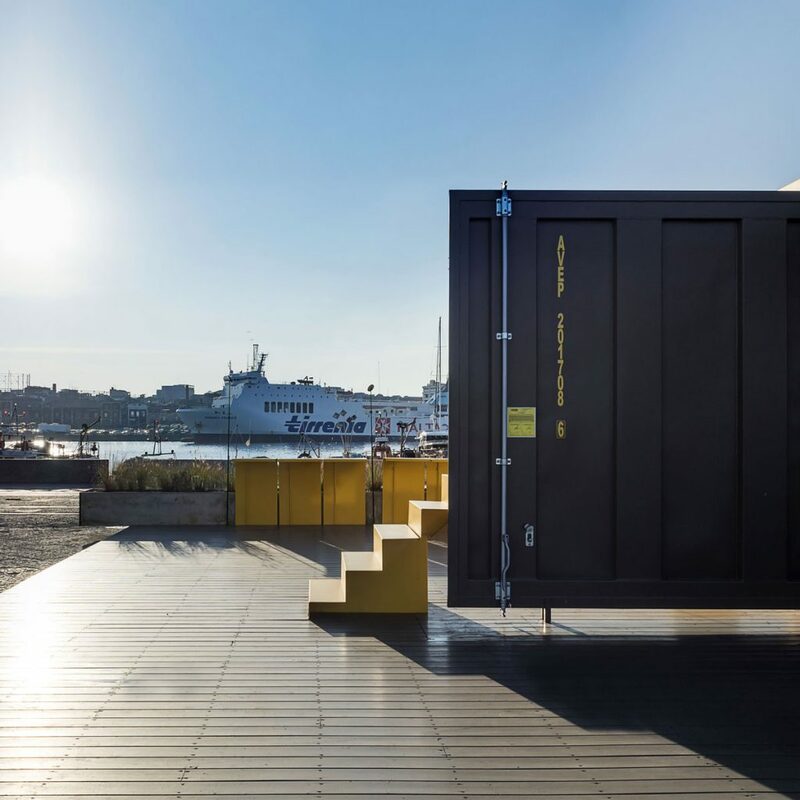 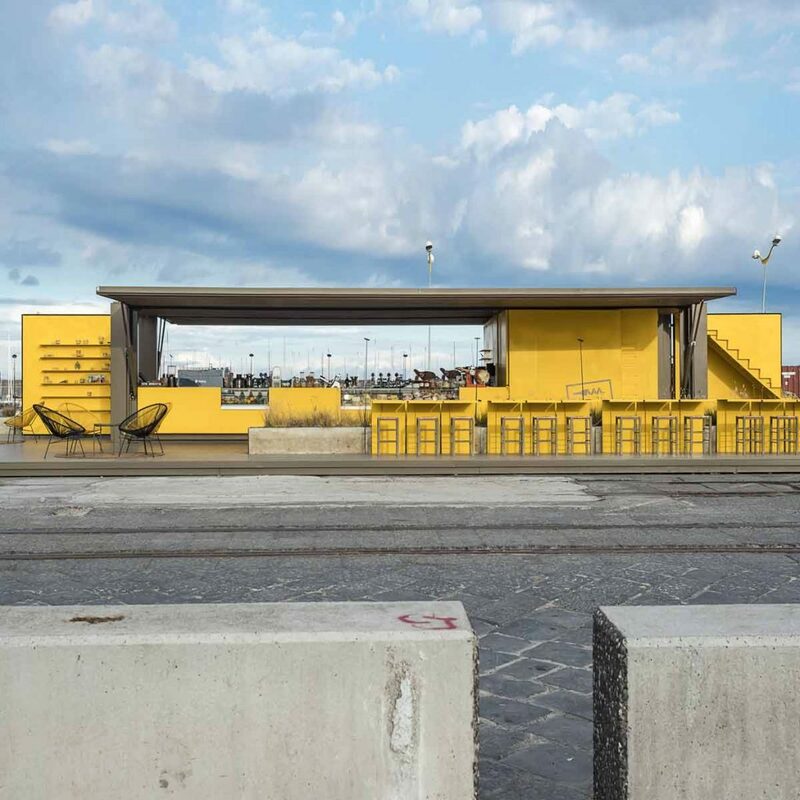 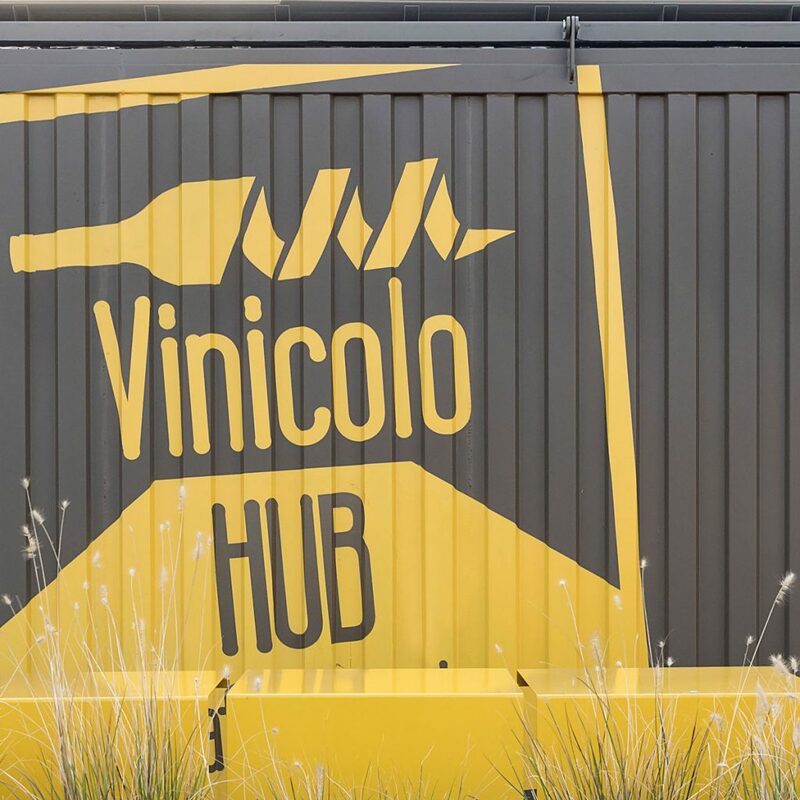 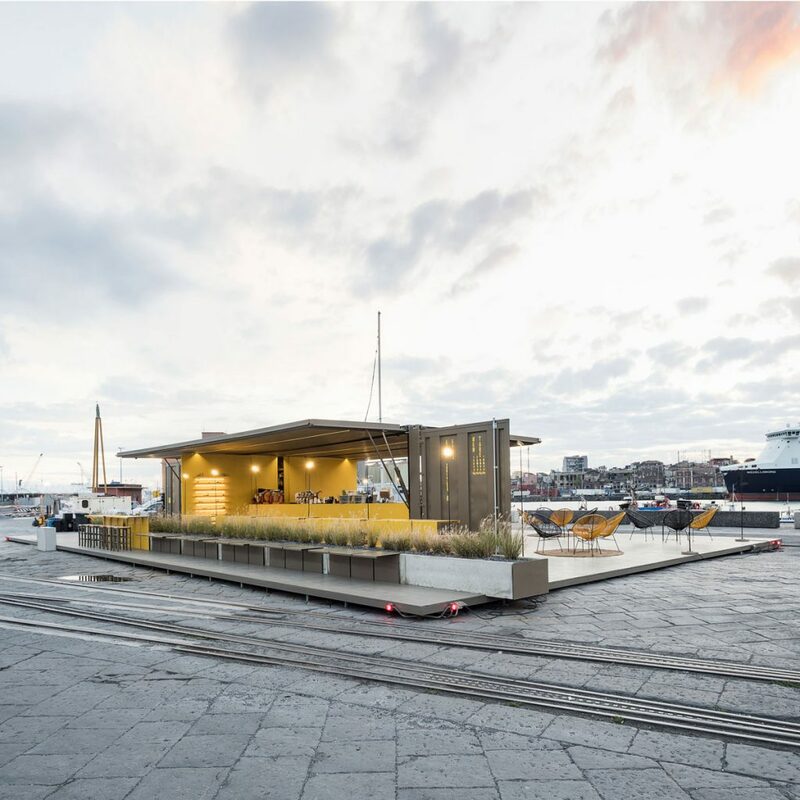 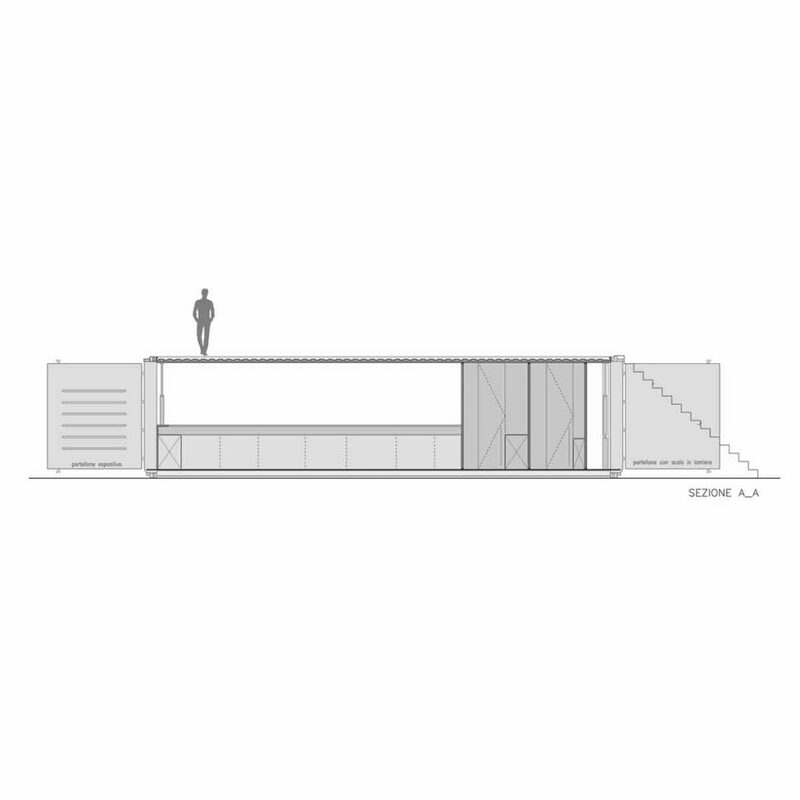 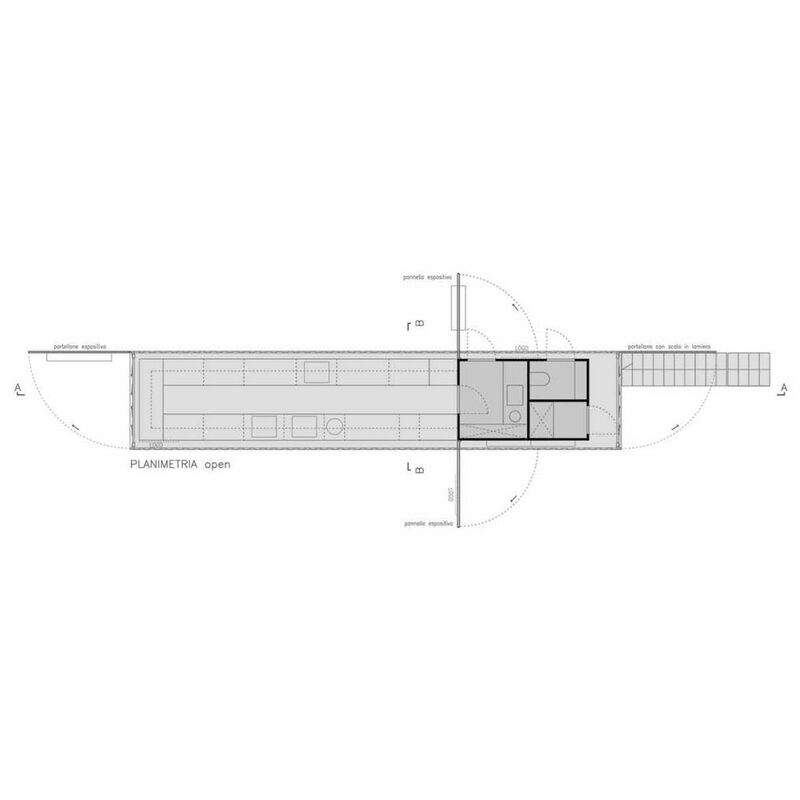 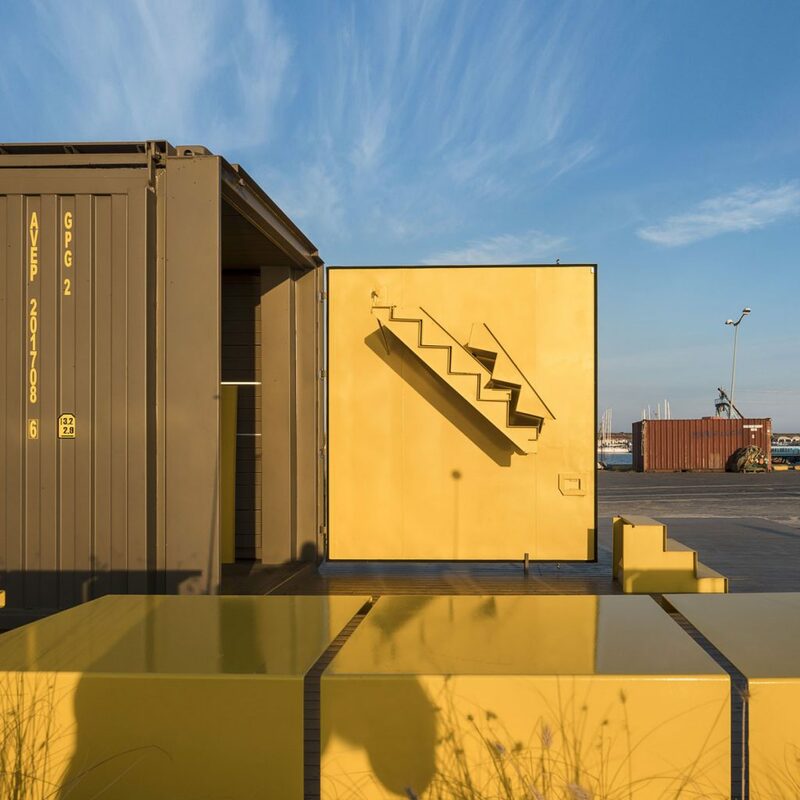 This is how the idea of ​​a 40-foot container that becomes a refreshment area arises. 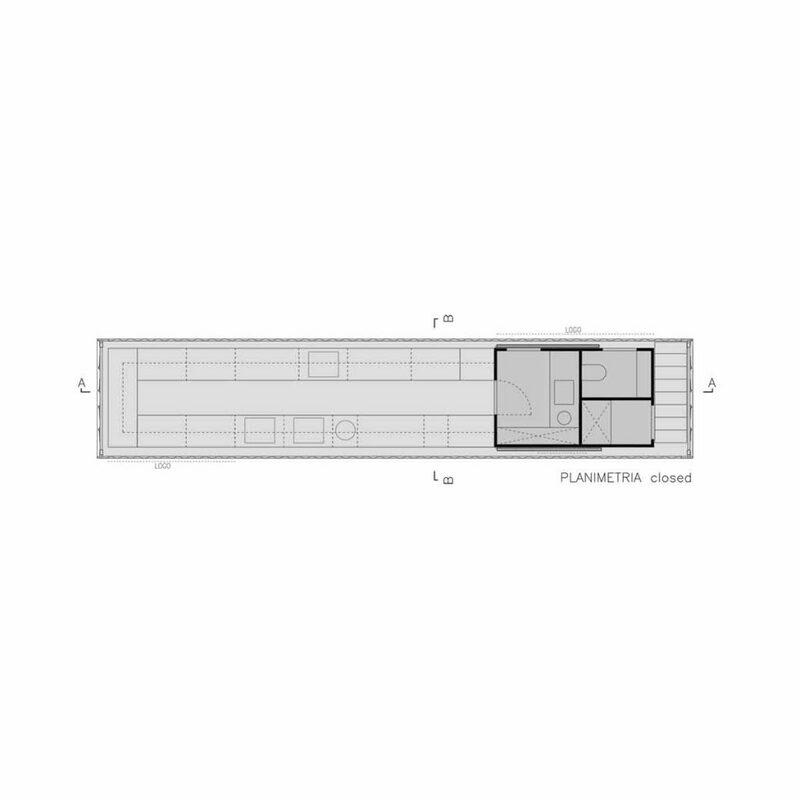 Element specially designed and made, which breaks up like a box, and opens up to life. 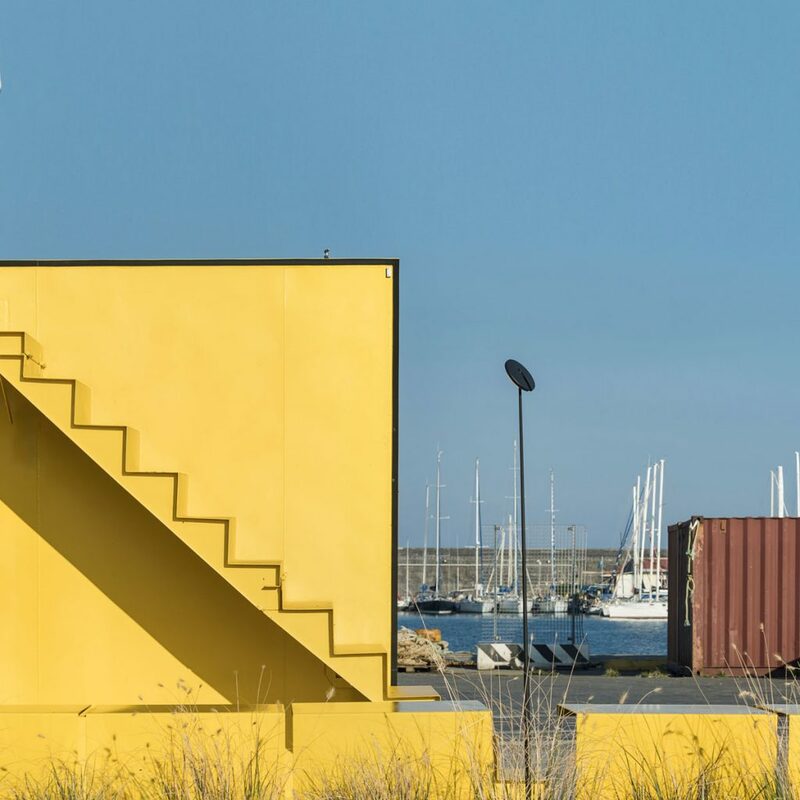 Composed of moving parts that assume possible different configurations: the two major panels rise upwards through a system of hydraulic pistons, becoming themselves covers and leaving space to the service area; a minor panel becomes an exhibition wall, while the other contains a staircase leading to the upper terrace, from which it is possible to admire the port and the city.